Connectivity of populations influences the degree to which species maintain genetic diversity and persist despite local extinctions. Anthropogenic landscape change has fragmented populations of species worldwide, and the Front Range of Colorado is an example of a landscape influenced by multiple types of habitat change, including urbanization and land conversion to agriculture. 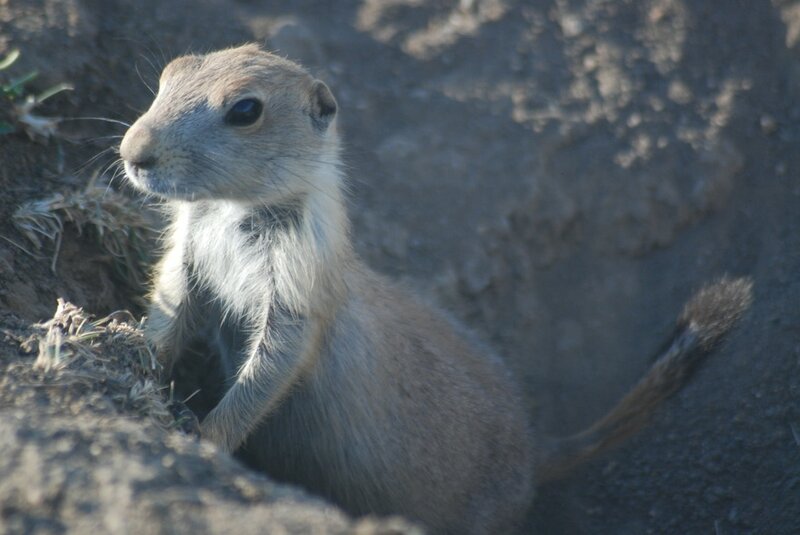 We investigate how these landscape changes influence animal dispersal through the landscape, and how land conversion interacts with plague to influence prairie dog genomic diversity. We use circuit theory to model prairie dog movement (analogous to electrical conductivity) through a complex landscape (a circuitboard) filled with geographic barriers (resistors) influencing movement among colonies (nodes on the circuitboard). Certain types of land use, including agriculture and grassland, facilitate prairie dog movement, while other land types, including heavy urbanization and major highways, impede dispersal. Interestingly, although large roads are barriers to dispersal, small roads facilitate prairie dog movement, particularly around barriers such as water bodies. In the map below, bright yellow areas are inferred pathways of prairie dog movement, usually through grasslands (as seen around the colonies, in black) but sometimes on small roads such as those crossing the large areas of blue (impervious land types like lakes and watersheds). In more urban areas, roads are likely to act as stronger barriers because of the heightened risk of mortality. You can read more here.